VW Canada spokesman Thomas Tetzlaff confirmed the company stopped taking orders for the e-Golf but said production hasn't ceased and Canada expects to get three times last year's allocation. Ted Lightfoot of Langley, a suburb of Vancouver, was lucky, waiting just 14 weeks last year for his 2017 Chevrolet Bolt, notorious for its relative rarity when it launched in late 2016. No such luck for Ottawa’s Cristen Fidler, who ordered a Bolt sans test drive in February 2017. He took delivery last September. “My dealer still doesn't have Bolts for people to see in person,” Fidler said via Facebook, adding that his salesperson has asked three times that he bring his Bolt back to show to potential buyers. 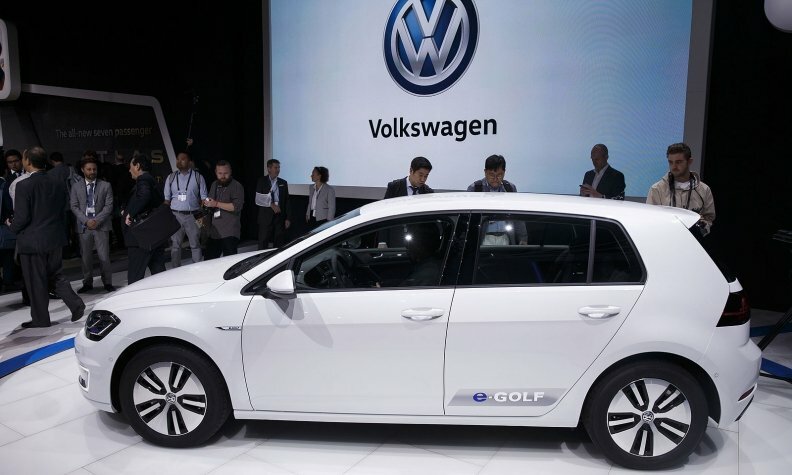 Vancouver’s Regency Volkswagen began taking pre-orders for its 20-unit allotment of e-Golfs last September but quit a month later under instructions from VW Canada. Only 10 arrived, said co-owner Patrick Zhang. Regency was told to submit orders for confirmed sales, said Zhang, but was told it might take more than a year to fill them. VW Canada spokesman Thomas Tetzlaff confirmed the company stopped taking orders but said production hasn’t ceased and Canada expects to get three times last year’s allocation. “We are doing what we can to get sold orders built as soon as possible, and have made our customers aware of the wait times via our consumer website,” he said. In Vancouver, the gap between rising EV demand and the ability buy or even test-drive one has caught the attention of the municipal government. A report in March by city staff found only 30 per cent of 27 Vancouver dealerships offering EVs had any to sell or a demo available. The report claimed the city encountered problems expanding its own EV fleet recently because, it said, cars were being diverted to U.S. states with zero-emission vehicle (ZEV) mandates, essentially legislated sales quotas. Quebec implemented its own ZEV mandate last fall for model-year 2018. “This is further reducing the already limited availability of ZEV models locally,” the report said. Meanwhile, the Vancouver Police Department, which manages its own fleet, had no problem acquiring 20 2018 Ford Focus EVs that will arrive this summer. Ian Neville, policy analyst with Vancouver’s sustainability group, would not discuss details of December’s EV purchase (bringing its fleet to more than 100) because the city is preparing to buy more. But Neville said the research (a secret-shopper survey last fall) was alarming because ZEVs play a major role in the city’s goal of carbon neutrality by 2050. The city’s objective mainly was to flag the issue for the provincial and federal governments. Automakers contacted by Automotive News Canada rejected the notion that ZEV mandates are behind perceived shortages. Toyota’s decision to roll out the Prius Prime plug-in hybrid and Mirai fuel-cell EV in Quebec first pre-dated the ZEV mandate, said VicePresident Stephen Beatty. The province’s consumers simply seem readier than other Canadians to consider an EV.